The Red Bank Study Group in New Jersey was looking for various ways to include service in their program. After viewing the instructional video of the healing ritual, it was decided to perform the healing ritual two times a month. Transcripts of the ritual were sent to the group leader and the ritual is now a regular part of their meetings. I've noticed a commitment to the meditation that wasn't there before. We have 5-8 people participating. During the meditation the energy is getting stronger and we do it in the same place every week. One participant said that with all the stress she has in her life she feels more centered and is able to deal with things which would have sent her spiraling. Another said she didn't know why, but she is "called" to come and doesn't want to miss it. She also stated it helps her focus on others rather than her own issues. For myself, I am able to meet obstacles with more equanimity than I did before. 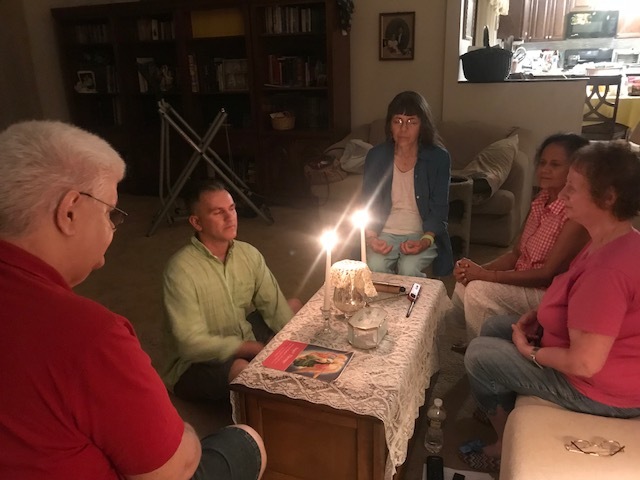 It gives us all a feeling that we are doing something to help those whose name we place in the chalice and to bring positive energy into the world. I thank you for giving us this opportunity to help and heal. The ritual itself is beautiful and we hope to continue to "ease the pain and suffering in the world." If your study group, branch or lodge is interested in starting a healing group, please let us know. Information can be obtained at info@theoservice.org. 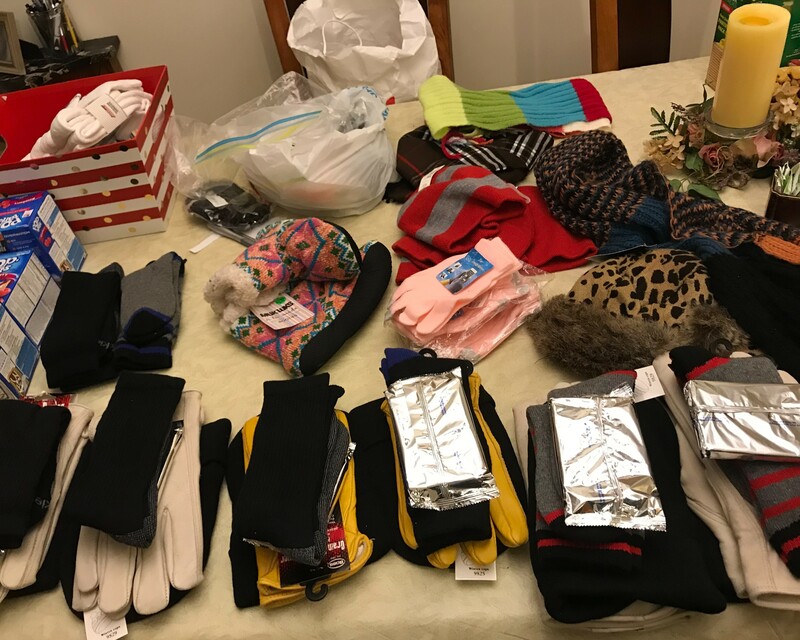 With the cold weather impacting us nationally, the Red Bank Study Group also put together bundles for the homeless after one of their meetings. Hats, scarves, gloves, and various other items were collected and parceled in plastic bags and distributed to various homeless people in New York City. Such work, while simple, is an act of kindness that can go a long way. Creating parcels for the homeless can be a way for members to get together for a common activity. Together members decide what they would like to include, shop for the items, decide where and when to distribute the parcels, and enjoy putting them together. It is an easy activity, but one that helps those who often have nothing. Some homeless people suffer from substance abuse so offering money is not always a good option. Way to go Red Bank! Thank for your service!